TonerWest.com is your source for top quality Ink and Toner. We have the largest selection of ink, toner and ribbons in Cochise County. ThINK TonerWest before you buy ink or toner anywhere else! Printers are terribly complex machines. So why would you take your printer to anyone but the printer repair experts at TonerWest. We have been servicing Sierra Vista printers for 13 years. We have parts in stock for many common printer issues, and have the best prices on both parts service. We are a factory authorized repair center for Konica-Minolta and have full time technician on staff. If you need to get that printer working again, bring it to TonerWest before you go anywhere else. 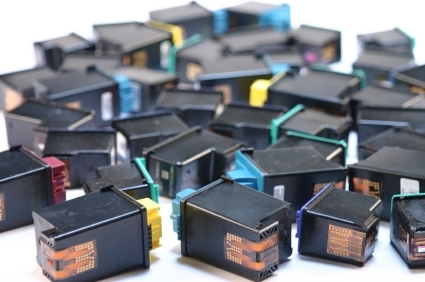 Did you know you can recycle your old Ink and Toner cartridges with us? The best part is we give you credit towards your replacement ink & toner. Bringing in your empty also helps us ensure we get you the exact replacement cartridge you need. Just another way we are helping the environment and saving you money. Fact: Each year, TonerWest save approximately 2 tons of ink and toner waste from our local landfill. TonerWest has provided Cochise County residents with great customer service for over 13 years. In this time we have made a lot of friends, and given a lot back to our community. We have supported several charitable organizations, sponsored sports teams, and helped the less privileged. See some of our Google reviews to the left. These reviews are indicative of what you can expect at TonerWest. Thank you Sierra Vista for so many wonderful years. TonerWest © 2019. All Rights Reserved.